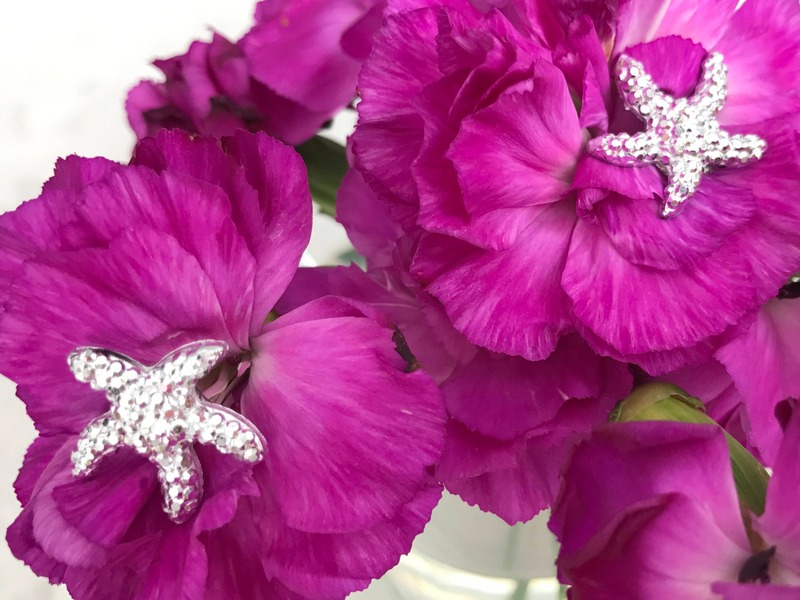 Pictured in this beautiful bouquet of flowers are silver starfish flower pins that I started making in May of 2017. 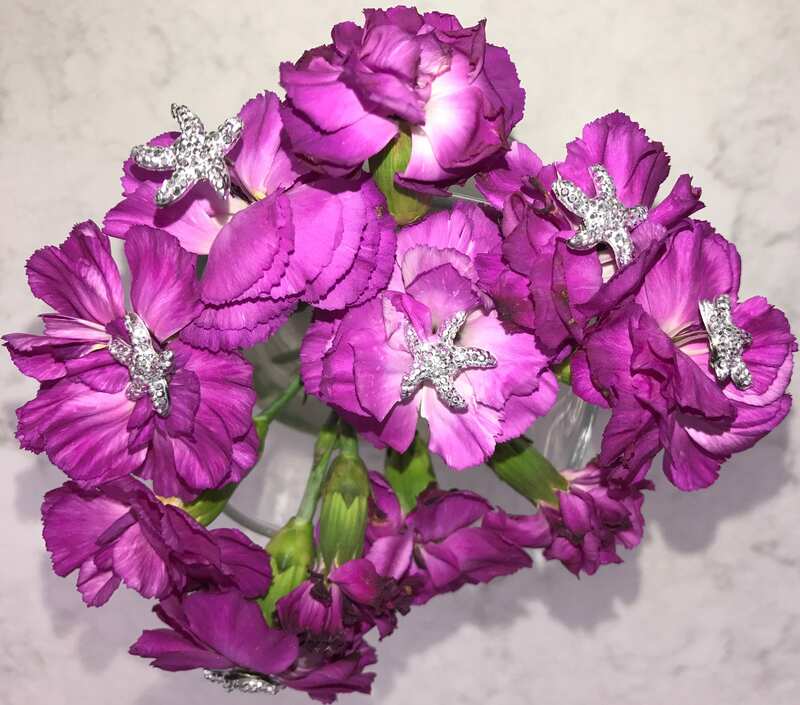 If you need a special order for your wedding party just let me know and I can make you a reserved listing for your special destination wedding. 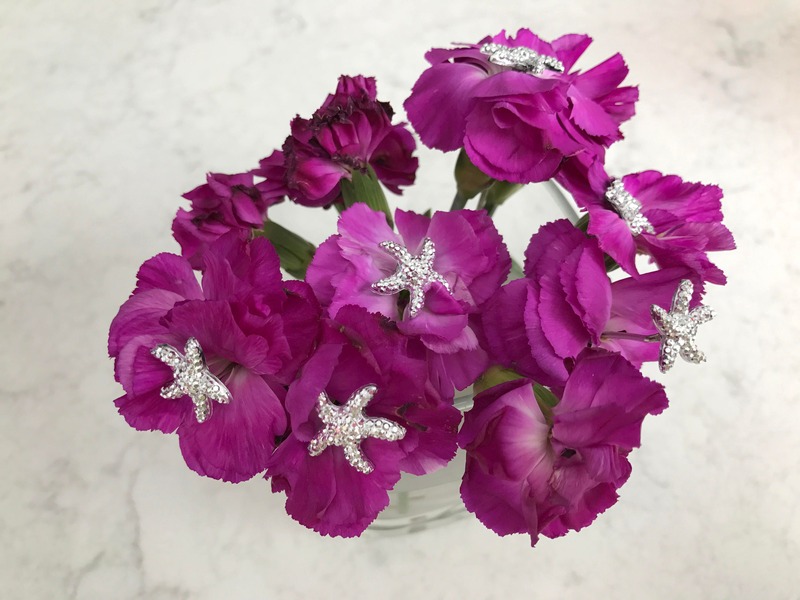 These also work in Corsages or Boutonnieres. 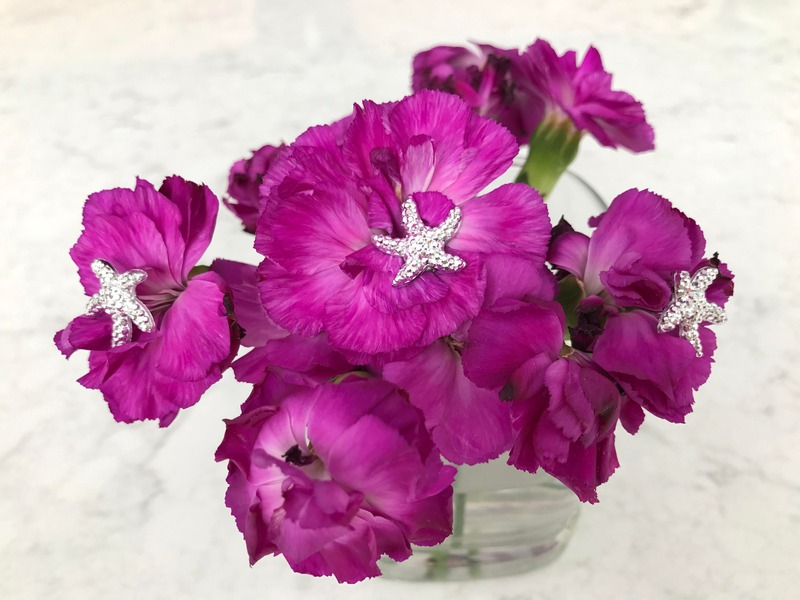 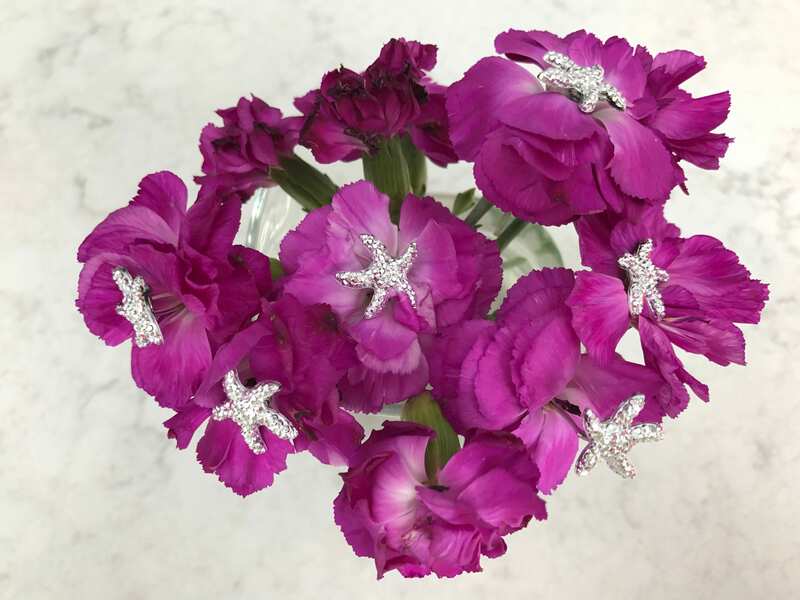 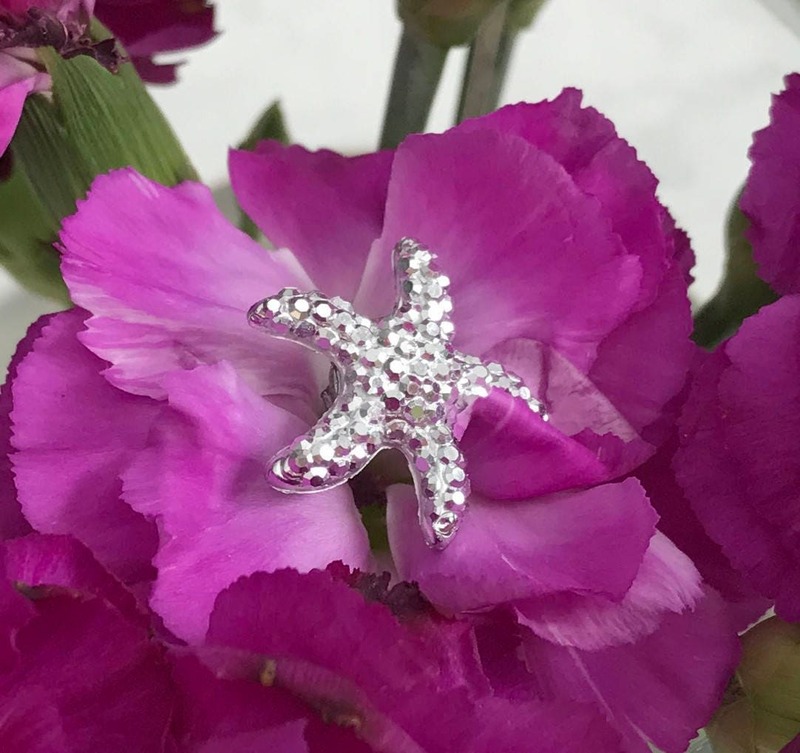 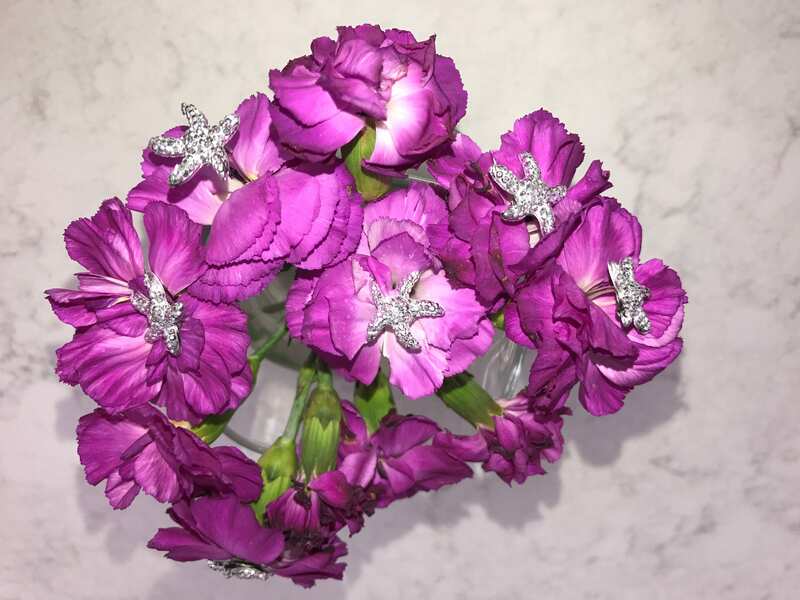 The tiny silver starfish will look great in any color or kind of flower. 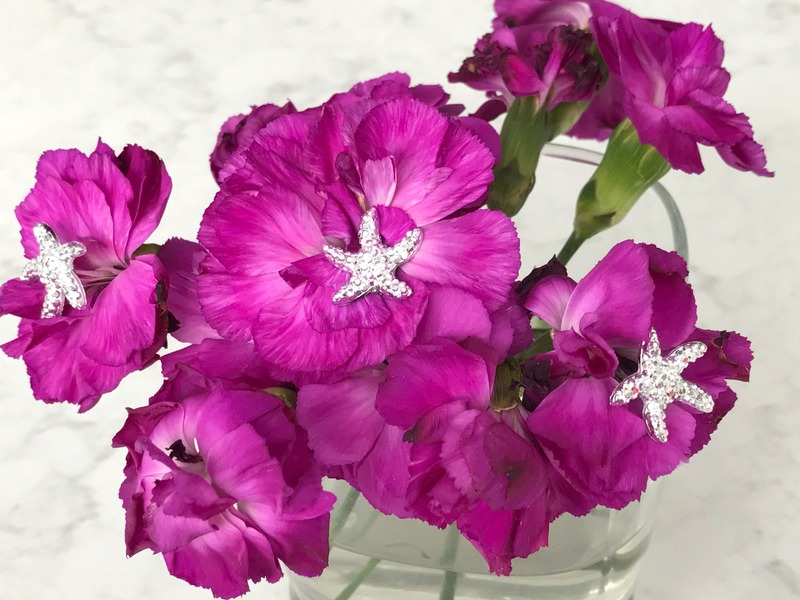 Neater, Cleaner, Tighter, Sharper, Better than any bouquet pins on Etsy! 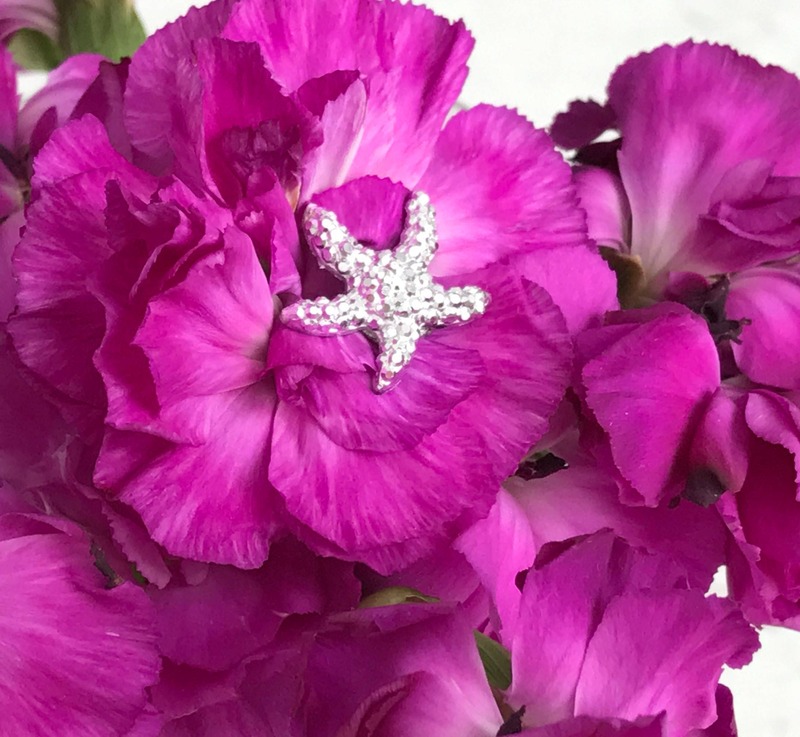 Each silver starfish is mounted on a sharp pointed pin that is very easy to use. 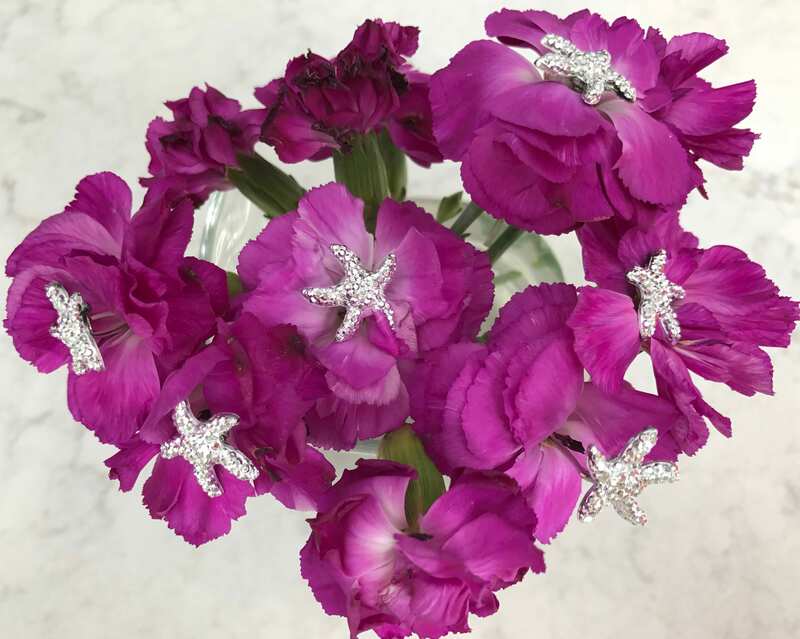 These would be perfect for a Bride or Bridesmaids in a destination Beach themed wedding.